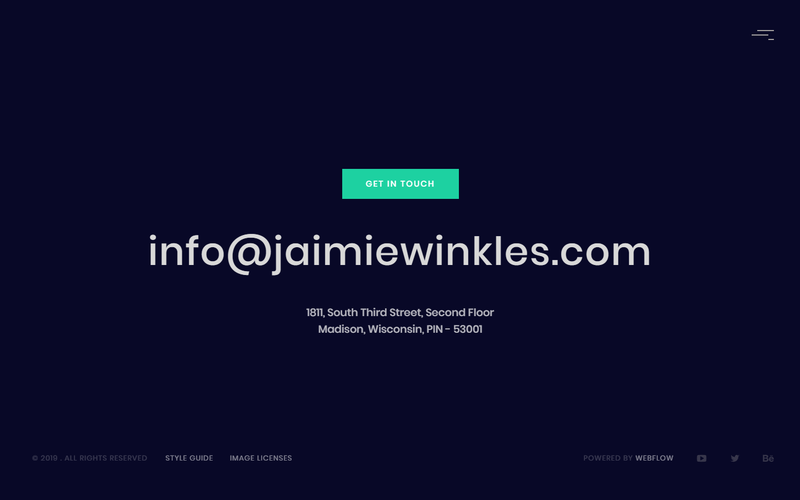 Welcome to Jaimie Winkles - a fully responsive, clean, and professional one page Webflow template. 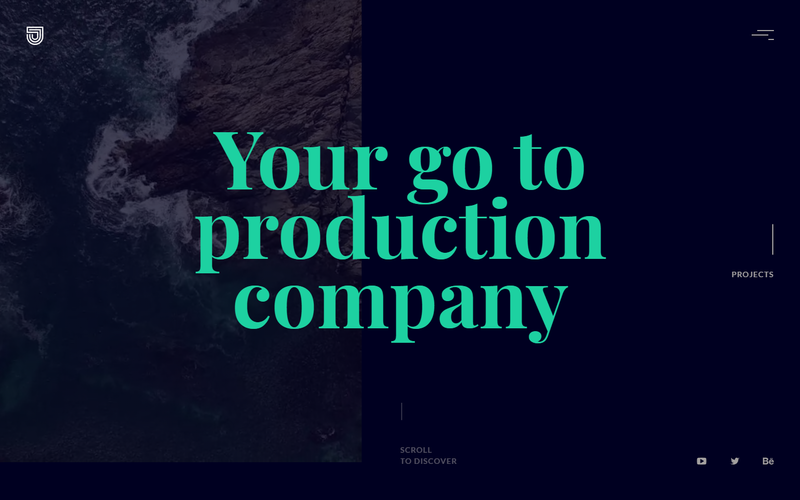 Perfect for Video Production Agencies/Videographers to showcase their portfolio. Save your visitors time by having all the necessary information directly on one page. 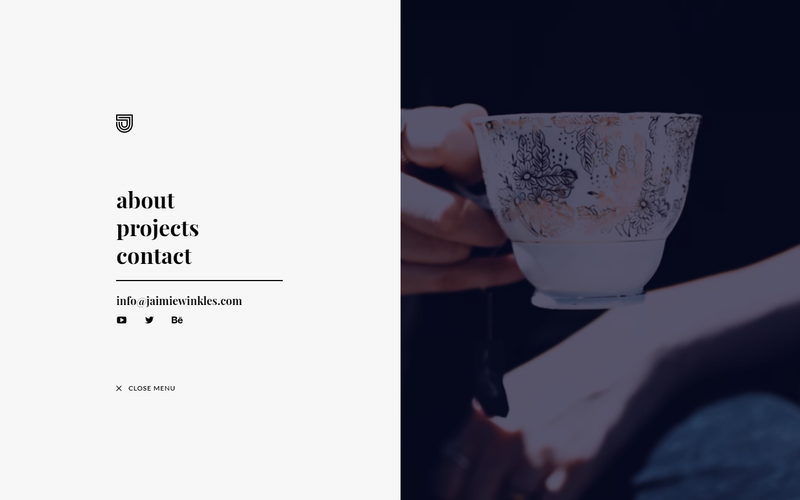 The page is divided up into 3 sections - About, Projects, and Contact. Your website visitors can quickly scroll to the different sections or use the menu. This template was created with responsiveness in mind to work across all devices. The template has been optimized for Desktop, Tablet, Mobile Landscape, and Mobile Portrait. The navigation menu has also been re-sized for smaller devices. 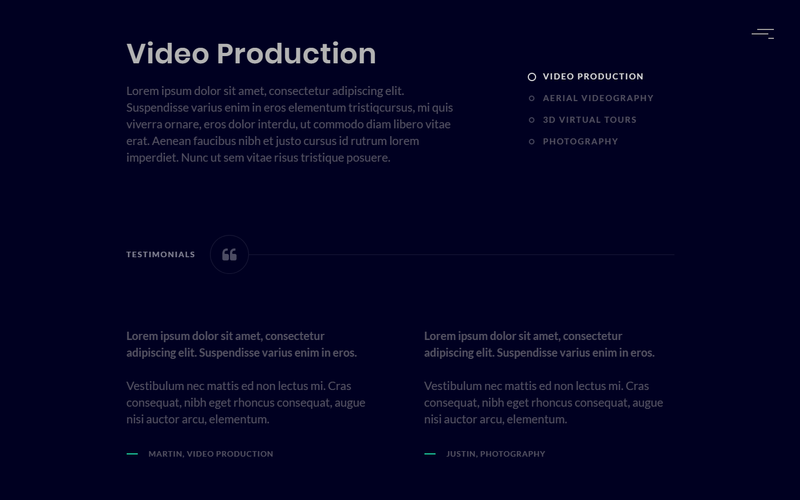 To learn more about responsive design in this template, check out Intro to Responsive Design. Impress your visitors be adding your best video in the header section. Easily replace the current video in the template. To learn more about changing the background video for this template, check out Background Video. 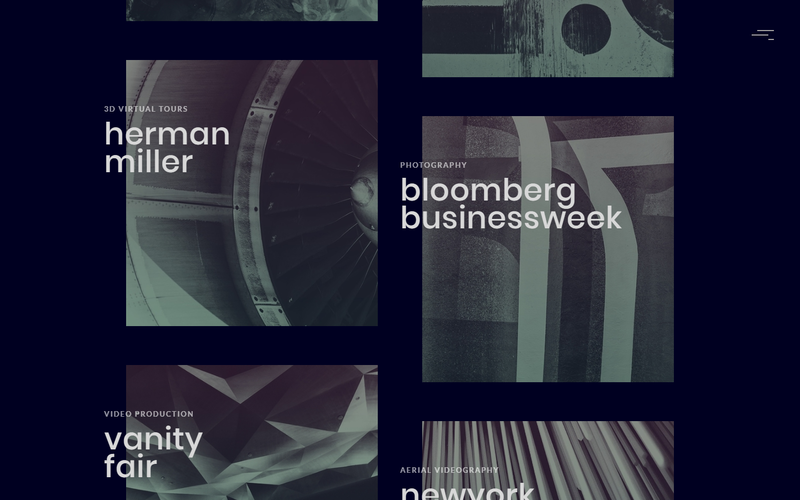 The animated menu allows you to showcase even more media. Give each section a unique image as the user hovers over the menu item. You can see beautiful animations all across the Jaime Winkles template. The interactions are visually pleasing and fun to engage with. To learn more about how to use interactions in this template, check out Interactions Video Course. Easily replace project images and text. Link out the projects to a page, video, or website. 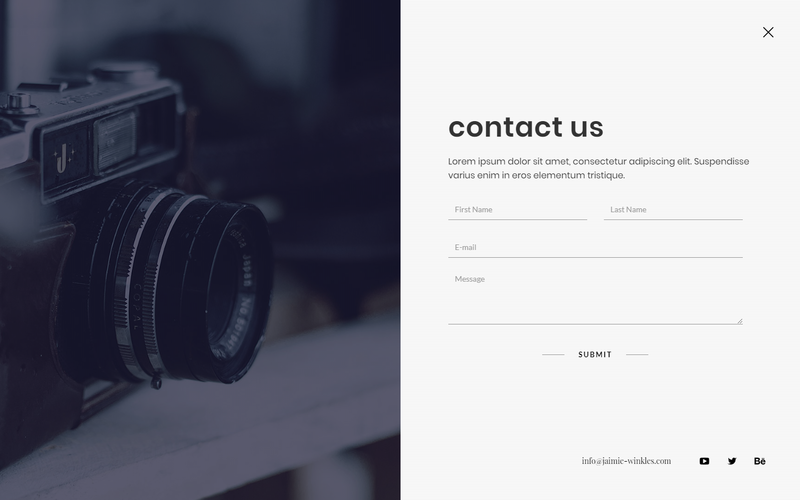 An animated contact form saves space within the template and also has an interesting animation when opening. To learn more about how to use forms in this template, check out Intro to Forms. With social media being such an important aspect of the web we made sure to include social media icons within the template and the menu, so the user always has access to your social media channels. Easily access all the elements within the template within the navigator. All the sections are divided up and easy to recognize within the navigator panel. To learn more about how to use the navigator panel in this template, check out The Navigator Panel. The template includes PDF documentation with a typography style guide and how to edit the menu and contact form. Download PDF documentation here. 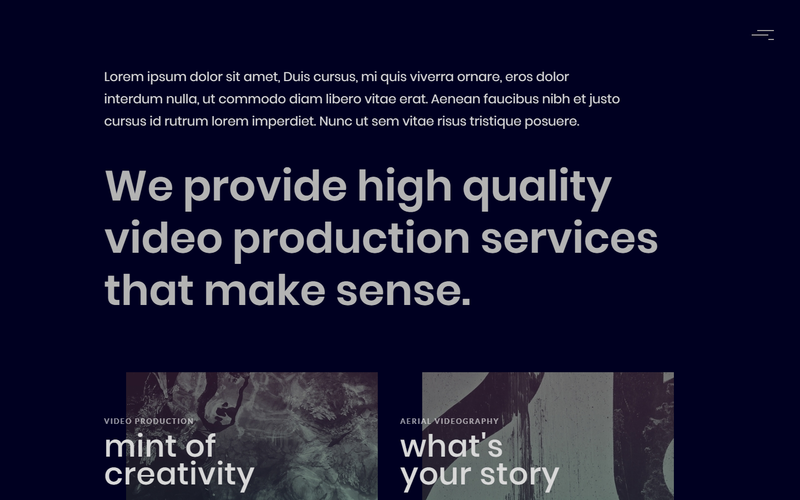 A style guide for typography is included within the template along with the PDF documentation. All the images in this template can be used for personal or commercial purposes. 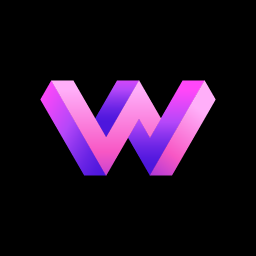 Alternatively you can contact us directly by email support@webdevforyou.com or leaving your message on the Support Tab.